No passport needed! 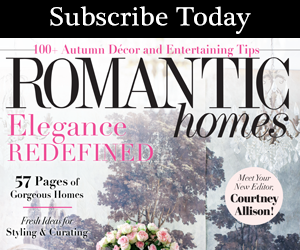 Only the September issue of Romantic Homes is required to visit locations from home and abroad for small space decorating solutions. Stop in Stockholm and pause in Paris for apartments that maximize design impact with minimal square footage. 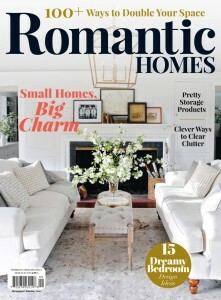 Along the way, discover our picks for attractive storage options that will get your house Pretty Organized. Before returning home, take a break to smell the roses with tips for outdoor entertaining.